I chose to avoid the cost and complexity of the constant speed prop. 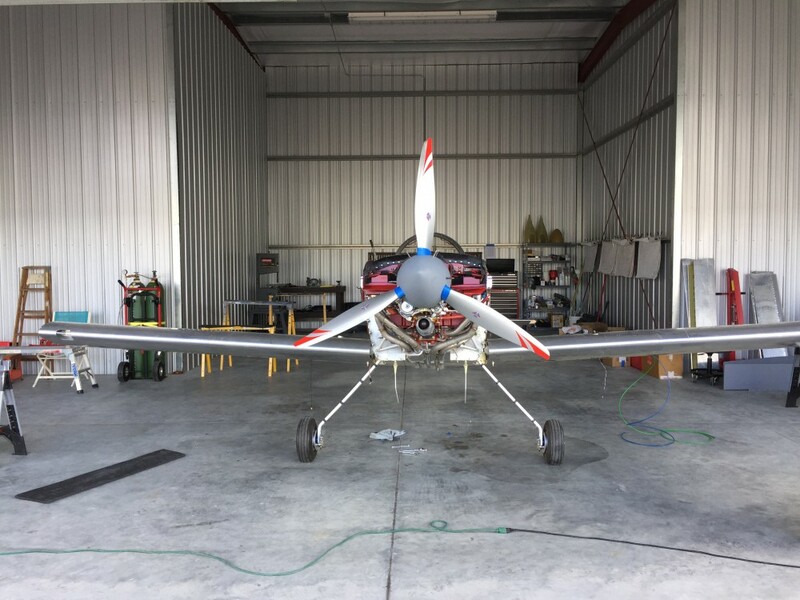 I mean, this is a plane that will weigh somewhere around 1,050 lbs and has a 190 HP engine. I think it will perform just fine with a fixed pitch prop! So, I chose to go with Catto Propellers and Craig Catto sent me a 68 x 75 prop with the nickel leading edges. It’s a wood prop with a composite covering. Light, affordable and easy to install! This entry was posted in Engine and Firewall Forward on August 27, 2016 by Mark Dickens. 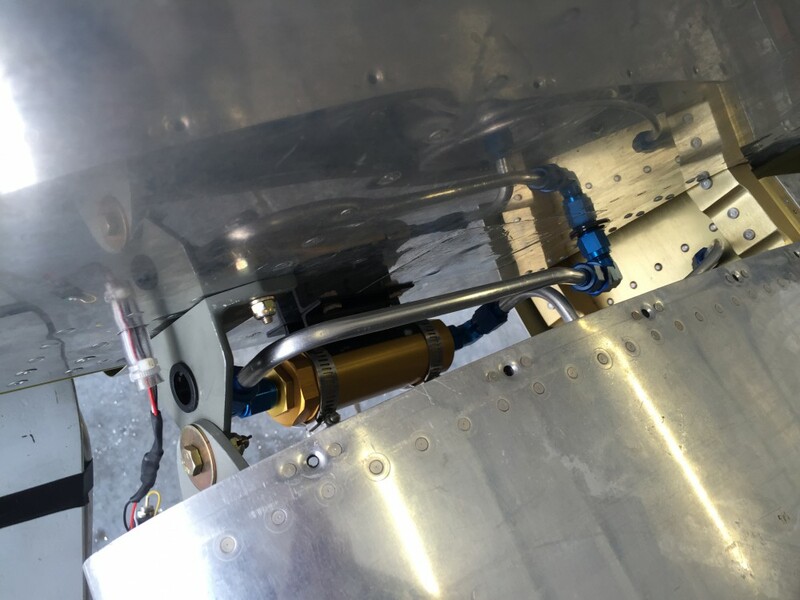 Well, when I mounted the wings, my clever fuel filter mounting scheme fell apart since there was interference with the fitting from the wing. So, back to square one. Fortunately, I was able to come up with an even better scheme and one that eases maintenance later. The photo below tells the tale. This entry was posted in Engine and Firewall Forward on August 26, 2016 by Mark Dickens. Jeff Bearden came out to help me get the wings on permanently. It took us a few hours, some LPS-2, Boelube, liberal expletives, a dead blow hammer and all manner of jockeying the wings around to get the holes to line up, but we finally succeeded. No way do I want to do this again. It will be a cold day in hell before I remove these wings. Nothing like doing this on a Tennessee summer day in August. And here’s the obligatory photo showing me doing something with the wing root. I’m in my socks because I had been in and out of the cockpit a million times and was trying to not scratch up the interior. Ha! As if that worked! 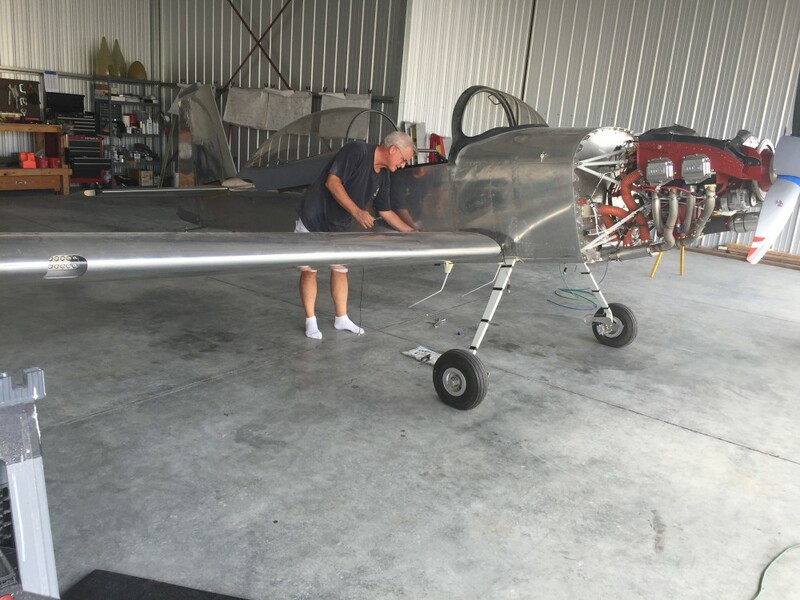 This entry was posted in Finishing Kit, Wings on August 14, 2016 by Mark Dickens. I went ahead and mounted my Catto prop yesterday. Very straightforward. 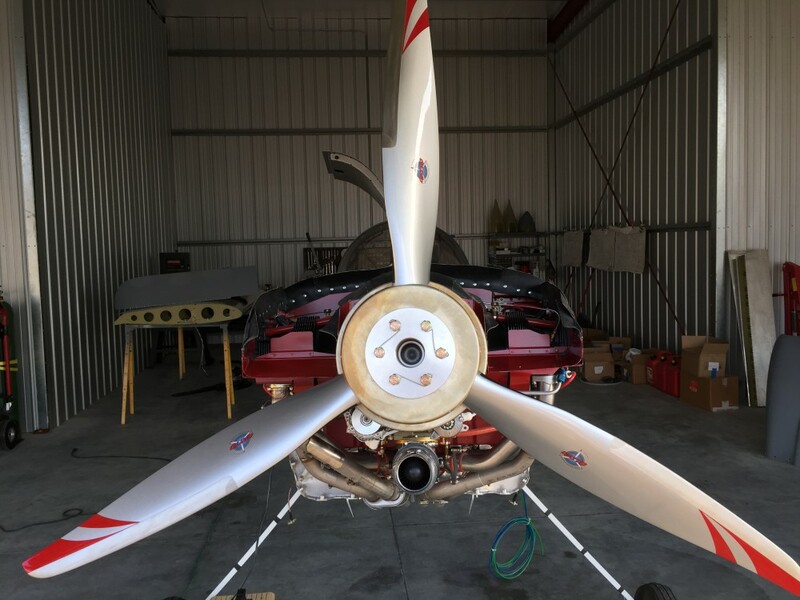 I started by torquing each propeller bolt to 20 ft/lbs, then 30 ft/lbs and finally to 40 ft/lbs. As usual, I had to redo my safety wire several times before I was satisfied. Typical. This entry was posted in Engine and Firewall Forward on August 9, 2016 by Mark Dickens.